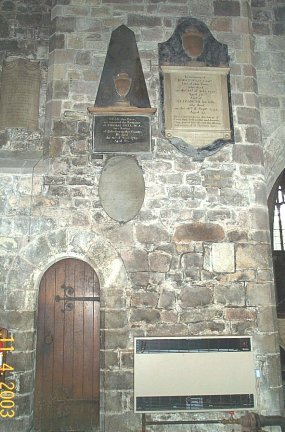 Looking West in the South Transept, to the right of the door is the famous carving of the Lead miner. The door leads up to the Tower. What you describe there is typical of a Saxon build. No coursing of stone, infill of rubble between the inner and outer facings. So may actually be the oldest part of the church.